Founded more than 50 years ago by Aliza Jabès, a pharmacist with an interest in phytotherapy and aromatherapy, NUXE is one of France’s best-selling pharmacy brands. Merging nature and luxury to create the brand name, NUXE offer a diverse range of face and body products tailored to different skin types that feel and smell amazing. The formulas are a result of combining rare plants, essential oils and patented ingredients, and Nuxe stands out for its exceptional textures and unique scents that envelop the skin. 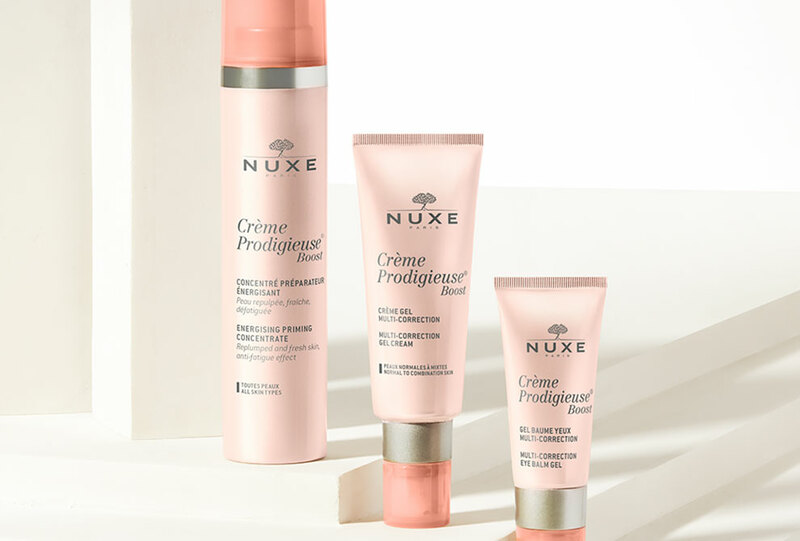 Many of the NUXE products and ranges are award-winning, and the brand is best known for its signature dry-oil, Huile Prodigieuse, which has become an iconic, cult beauty product. – Made in France from formulation to production. – A strict formulation charter: no mineral oils, no parabens, no animal origin ingredients (except for beehive products). – No animal testing in compliance with applicable regulations. – Botanical active ingredients with controlled geographic traceability, some of which are environmentally responsible. 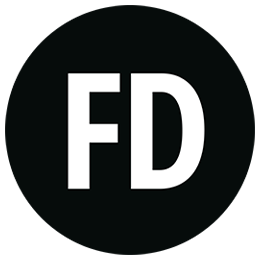 – An eco-design approach to packaging. – Easily biodegradable rinse-off products. – Reduction in waste generation through recycling. NUXE’s iconic dry oil, Huile Prodigieuse®, is the ultimate skincare product, offering a unique sensory experience. This inimitable, incomparable cult product nourishes, repairs and beautifies the face, body and hair in both summer and winter. Its addictive scent and unique dry oil texture promise an experience of sheer bliss during and long after you apply it. Huile Prodigieuse® offers the benefits of a plant-based oil combined with a unique dry texture that quickly penetrates the skin to achieve a non-greasy finish. Its natural formula (98.1%*), enriched with vitamin E and free of silicone, mineral oils and paraben, works wonders wherever on your body you use it; the skin is left nourished, repaired and enhanced and the hair supple and glossy in a single step. Originally created in 1991 as a multi-purpose product by NUXE President and Founder Aliza Jabes, who was pregnant at the time, Huile Prodigieuse has had over 25 years of success. Variations of the iconic product include Or, which contains tiny shimmering particles to highlight your beauty, and Riche, which contains higher levels of Macadamia Oil to nourish even the driest of skin. In 2016, the original formula was reinvented to include Tsubaki Oil making it even more precious and innovative. Introducing a new generation of multi-corrective skincare, with skin-boosting extras! NUXE’s new skincare collection includes a unique anti-oxidant complex with three key ingredients: Jasmine Flower, Calendula Flower and Cellular Sugar. Together, these ingredients boost cellular activity to counteract the effects of stress, sleep deprivation and pollution damage on the skin. The five product collection evolves the NUXE iconic fragrance of Orange Blossom, Magnolia and Vanilla, lifting it with fresh, fruity and sensual notes. Your skin will be left feeling fresh, looking plump and radiant. Energising Priming Concentrate – Suitable for all skin types, this is the ideal primer to prepare your skin for the day or night. Two types of natural Hyaluronic Acid are combined in this revolutionary serum-lotion inspired by Korean skincare to visibly smooth out wrinkles and deeply moisturise the skin, whilst Vitamin C will increase the skin’s radiance. Multi-Correction Eye Gel Balm – Brighten your eyes with this delicate, ultra-refreshing gel balm which contains a Botanical Caffeine extract with anti-dark circle and anti-puffiness properties. Together with Hazelnut Oil, this lightweight gel-balm helps strengthen the fragile area about the eyes. Night Recovery Oil Balm – This ultra- cocooning oil-balm, enriched with Macadamia oils, allows the skin to regenerate itself overnight. The Jasmin Flower anti-oxidant complex boosts cellular activity, while Nopal Flower Extract (the flower of the Prickly Pear) specifically increases cell renewal for a more luminous, glowing complexion and smooth features upon waking. Multi-Correction Gel Cream/Silky Cream – This daily booster, combining the Jasmin Flower anti-oxidant complex with the smoothing effect of natural Hyaluronic Acid, revives fresh, radiant skin while softening the first signs of ageing. Available in 2 textures: a gel-cream with a light, matte finish for normal to combination skin, and a velvety, silky cream for normal to dry skin, you can choose the finish perfect for you. Nuxuriance Gold is a range of four skincare products with absolute anti-ageing power. Scientifically proven to give radiance, luminosity and a youthful glow, Nuxuriance Gold uses at least 92% natural ingredients to renew the skin and reduce the signs of ageing as well as the effects of environmental stress over time. Golden micro-reflectors illuminate the skin whilst innovative and powerful ingredients such as the Saffron Flower target deep down in your skin to strengthen, hydrate and stimulate new skin cells. Nuxuriance Gold Nutri-Revitalising Serum – This velvety anti-ageing serum improves the skin’s texture leaving it revitalised and radiant. Reinforced with a natural origin Micro-Hyaluronic Acid, it smooths and firms the skin and makes it appear less thin. Nuxuriance Gold Nutri-Fortifying Oil Cream – Infused with golden micro-reflectors, this melting oil cream boosts strength and radiance to dry skin as it weakens with age. It leaves the complexion instantly more nourished, revitalised and looking brighter over time. Nuxuriance Gold Nutri-Fortifying Night Balm – This night-time essential is enriched with Shea Butter meaning you’ll wake up to smooth, luminous and nourished skin. Night after night, your skin will become stronger and more resilient. Nuxuriance Gold Radiance Eye Balm – With golden micro-reflectors, this eye balm immediately nourishes, illuminates and smooths the eye contour area. Day after day, you should notice the eye contour appears more even, and the eyes are revitalised.